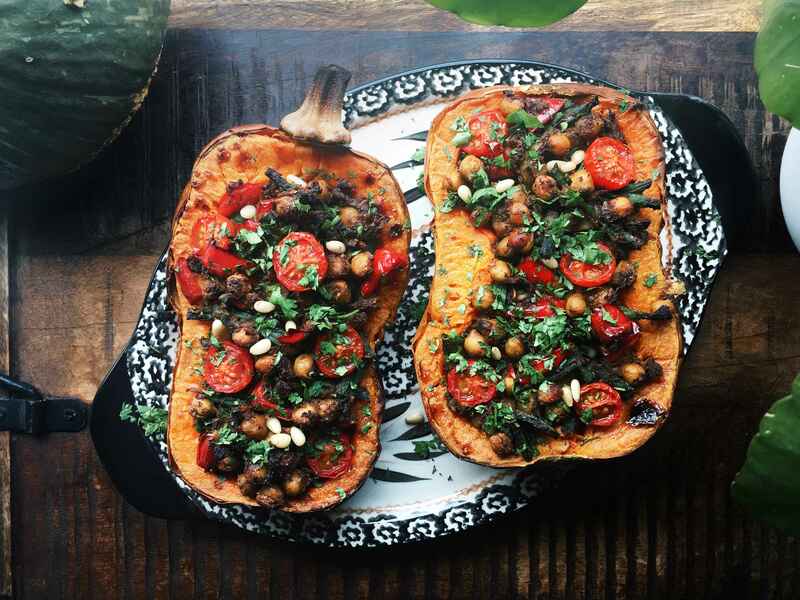 Since the squash season is almost coming to an end, and the holiday season is right around the corner it’s about time we’d be making some stuffed butternut squash. Stuffed butternut squash is one of the first dishes I ate when deciding to go vegan and since that day it holds had a special place in my heart stomach. The recipe I made that day is hidden somewhere in my note books, I remember it had the most delicious quinoa filling, but today we’ll be making a chickpea stuffed butternut squash.